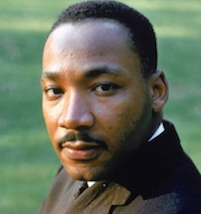 On January 21, 2019, the U.S. pauses to remember one of the greatest people in our modern history, the Reverend Dr. Martin Luther King, Jr.
Four Partner Organizations, Chicago Cares, Uptake, Greater Auburn Gresham Development Corporation and Cook Elementary School (Chicago Public Schools) Host Serve-A-Thon to Honor Dr. King's legacy, have lunch and chats on civil rights with local students, resident seniors and local veterans who live in Auburn Gresham. 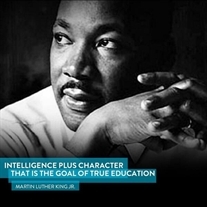 "Intelligence plus Character. That is the goal of true education." Support Auburn Gresham Gold a Community-Driven Education Initiative. Why? We can't wait, claim with us 2014 as the year of Education.